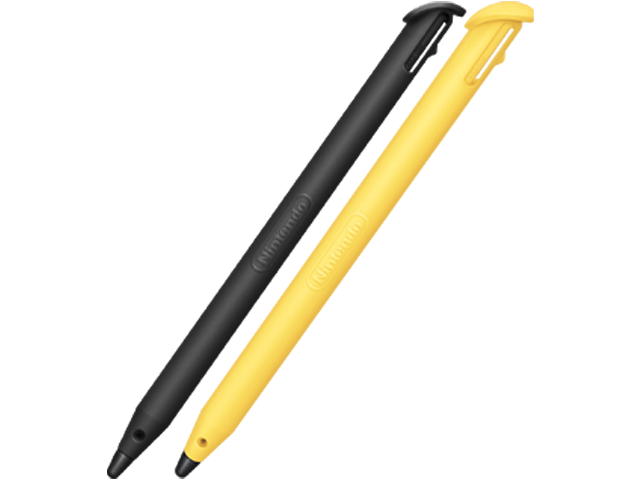 This stylus is designed to fit into the New Nintendo 3DS XL™ system and easily snap inside a convenient storage slot on the bottom edge of the system. It will only fit in the storage slot on a New Nintendo 3DS XL, however, it can be used with, but will not fit into the storage slots of any other Nintendo DS™ or Nintendo 3DS™ family system. NOTE: To avoid damage to the touch screen of your Nintendo DS system only use a Nintendo licensed stylus on the touch screen.